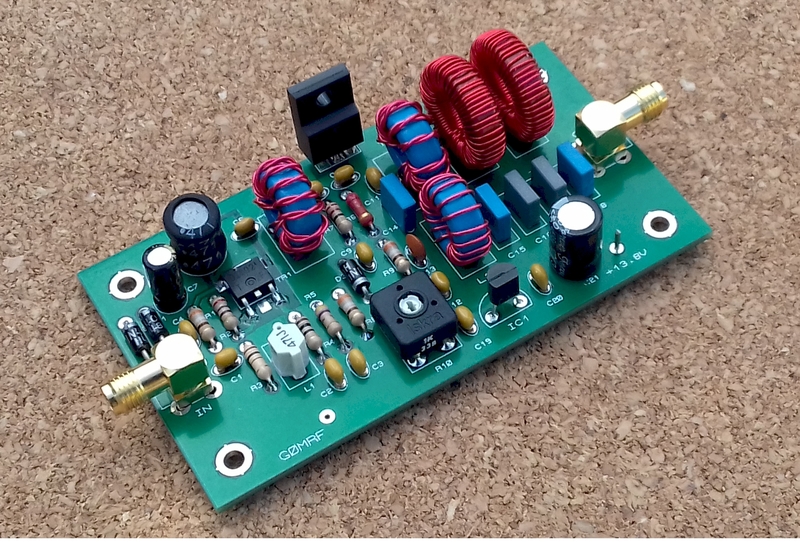 This Class D switching amplifer was designed to enable anyone with an interest in LF to get onto the band quickly and without the need to invest in a separate higher voltage power supply. 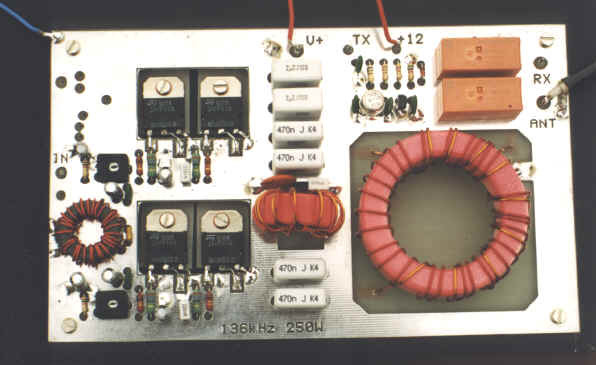 The 400 W power amplifier (PA) uses many of the components from an old KW1000 HF linear amplifier (including the original pair of 572B valves). The amplifier was purchased for under £200 and has been modified from a switch-tuned grounded-grid configuration to an aperiodic (untuned), push-pull amplifier, rather like the QRO Class B Modulators of the 1960s. 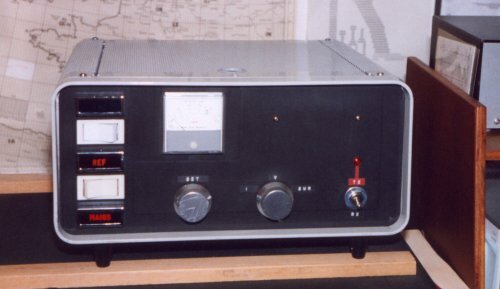 This amplifier is based on the ‘300W Class D Transmitter for 136kHz’ published by the RSGB in Radio Communication and reproduced in the LF Experimenters Handbook by Peter Dodd G3LDO. 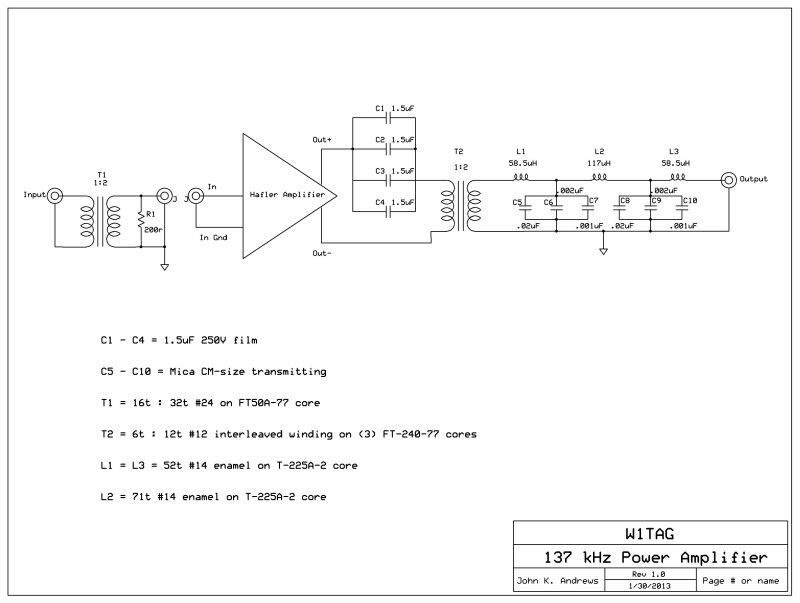 After obtaining a pair of surplus Motorola Starpoint channel modems to use as SSB exciters at WC2XSR/13 on 168 KC, I wanted to build an amplifier to boost the power to about 400 watts, which is the maximum licensed transmitter output power for WC2XSR/13. This small linear amplifier has been useful for low-power testing. It would also make a good driver for a higher-powered amplifier that required real driving power. The present model is built in a cast aluminum case, and is used with an external power supply. My bench supply provides 30 VDC, good enough for a clean 8 watts. 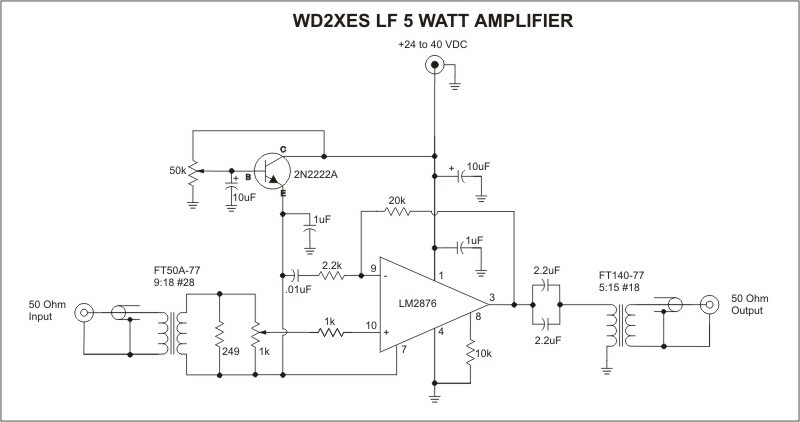 The amplifier described, uses four low cost Power Fets to generate 250W output on the European 136 kHz L.F. allocation. The circuit uses traditional RF construction techniques, and has 50 Ohm in- and output impedances.